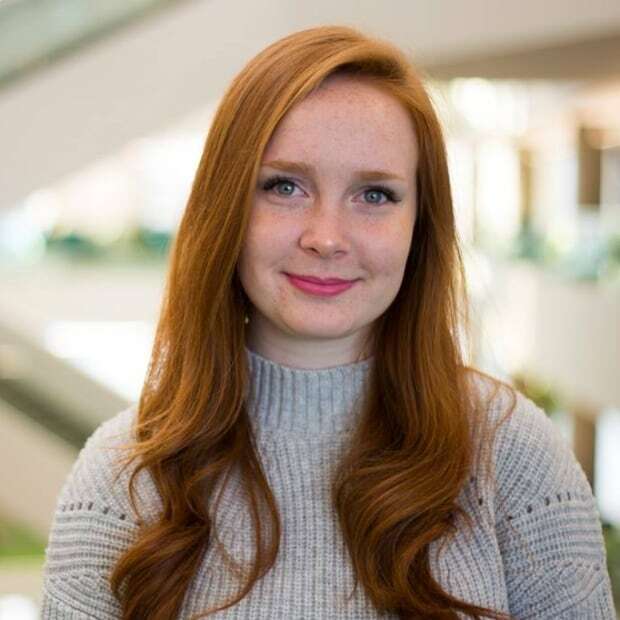 The price of oil is low and the rate of unemployment is high in Drayton Valley. Residents say that needs to change — and fast. The central Alberta oil and gas town has a population of roughly 7,000 people. 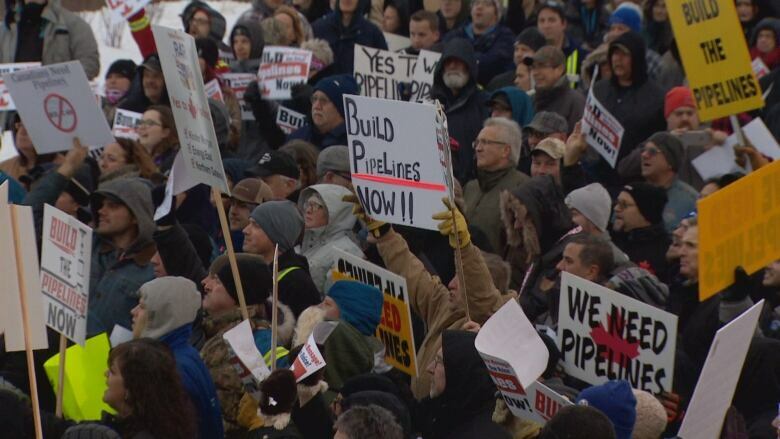 About 1,300 of them gathered in the cold on Tuesday afternoon to send a message to the provincial and federal governments: "Build that pipe" so Canadian oil can be delivered to international markets. The small town has been hit hard by the oil price crisis, with several businesses struggling to stay afloat. Perry May has owned Tykan Systems trucking company in Drayton Valley for 24 years, and says business has never been so bad. Following the economic downturn, he said there was a period of time when the company was operating at just 10 per cent of its normal capacity, and employees were laid off as a result. "My company was told last week that the oil companies that we're working for are shutting down their programs. And I'm going to lose 80 to 90 per cent of my work again," he said. "What am I going to do? What are my men going to do?" 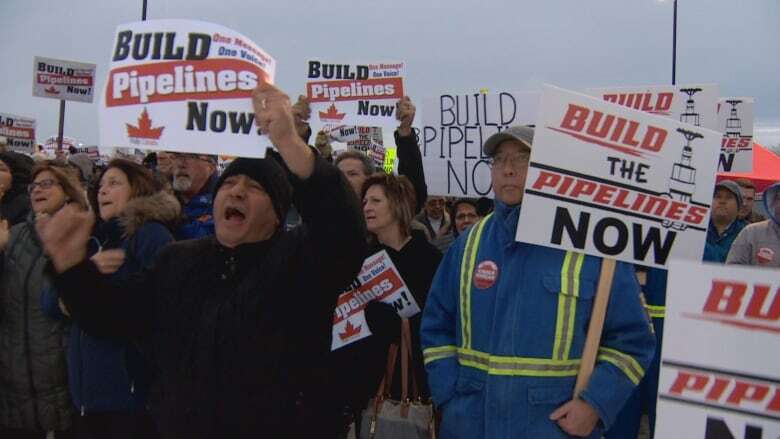 May said new pipeline projects should have moved forward a long time ago. "Get that pipeline built so we can all make a living as everybody should be able to," he said. "Our companies aren't failures and our employees aren't failures… We're let down by our government." 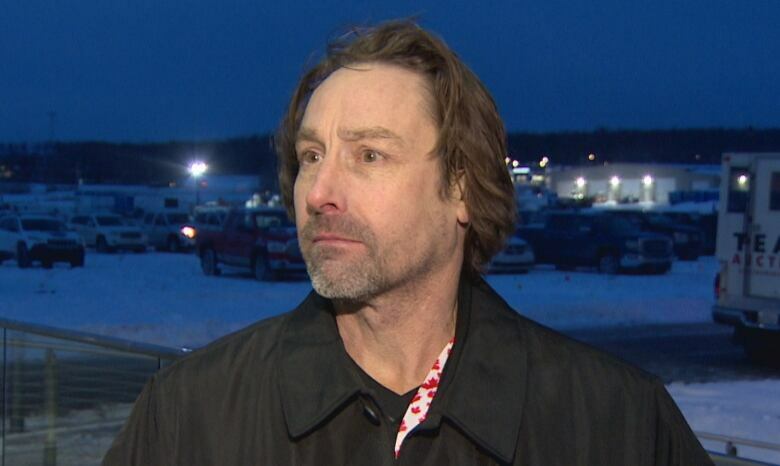 Doug Galavan doesn't work in oil and gas, but said his Drayton Valley company, Flooring Canada, has still taken a hit. Business slowed dramatically when the Federal Court of Appeal quashed Ottawa's approval of the Trans Mountain pipeline expansion this summer, he said. "It was shocking how the announcement happened and the door stopped swinging in the store," said Galavan, who helped organize Tuesday's rally. He said Premier Rachel Notley's move to curtail oil production by 8.7 per cent is a Bandaid solution. 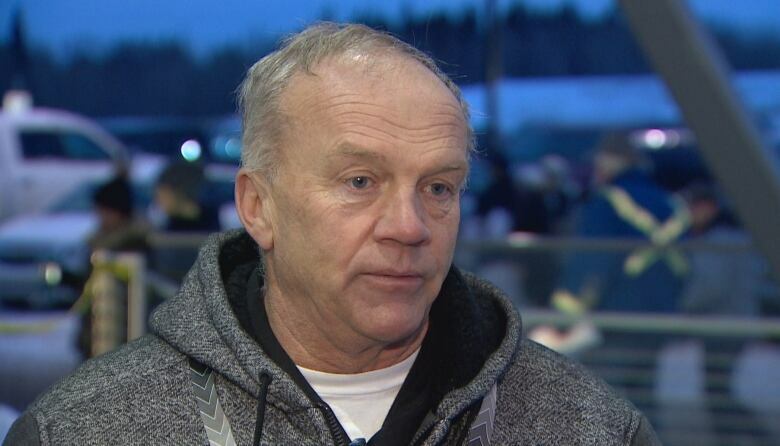 It could lead to some minor improvements in the industry, he said, but Drayton Valley will likely see layoffs anyway. "We have to have more action. 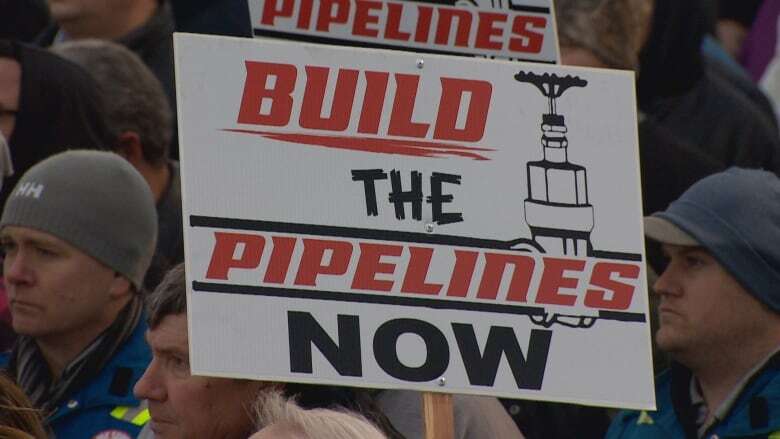 Like, there has to be something to get the message through that our families are just hurting," Galavan said, reiterating the call for pipelines. "The energy industry is so vital to the wealth and well-being of people from coast to coast to coast. And we're all in this together, so please come to our aid." Drayton Valley Mayor Michael Doerksen said he understands why the province imposed production cuts, but thinks small towns will suffer as a result. If oil companies are drilling less, that means the service industry will get less work, he said. 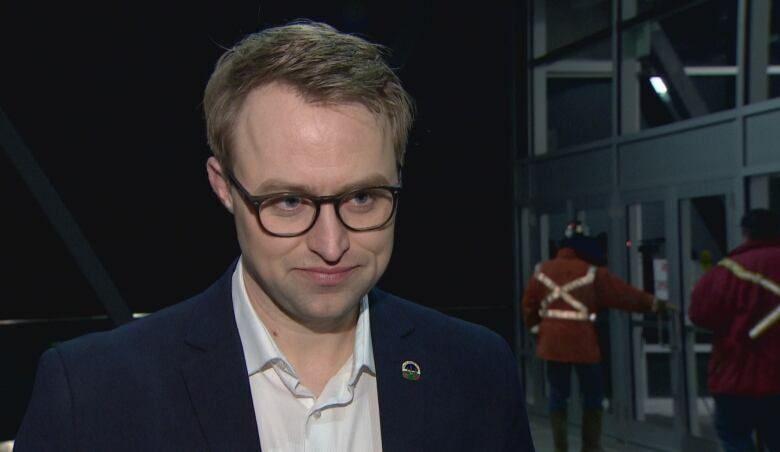 "Alberta, Canada is losing money on a daily basis, not getting the proper value for the oil that we're producing," he said. "We do it better than anyone else. We're more environmentally friendly than anyone else. And if we don't produce it, countries that don't care as much as we do are going to produce it."